Emily joyfully shares her story of healing from Lyme in the spirit of helping other people find the understanding, advocacy, encouragement, and support they need for their own healing. 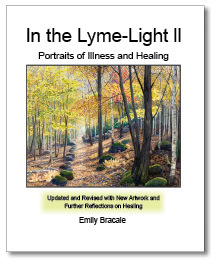 In the Lyme-Light: Portraits of Illness and Healing, began as a private attempt to convey the symptoms of Lyme disease and the journey of healing from it. The paintings and writing became a public educational exhibit in 2010. This was published as a 7" x 11" book in 2011. This new edition, In the Lyme-Light II, includes the revised and updated story from the first book, plus nine new chapters, Further Reflections on Healing. The original twenty-eight paintings are joined by nine new works of art, all printed larger and brighter to convey the experience of viewing them in a gallery, as was originally intended. Emily Bracale is a graduate of the Interlochen Arts Academy and College of the Atlantic, with a B.A. in Human Ecology. Her visual arts training began in early childhood from a clan of three generations of women artists and art teachers. 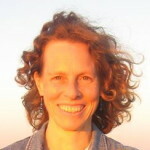 She has taught and supported the creativity of thousands of students from preschool through the college level, in private and public schools, summer camps, and independently. She has held many solo art exhibits with an educational twist, most notably cultural travel sketches and paintings in “Visions of the World” and the “Lyme-Light” collection. 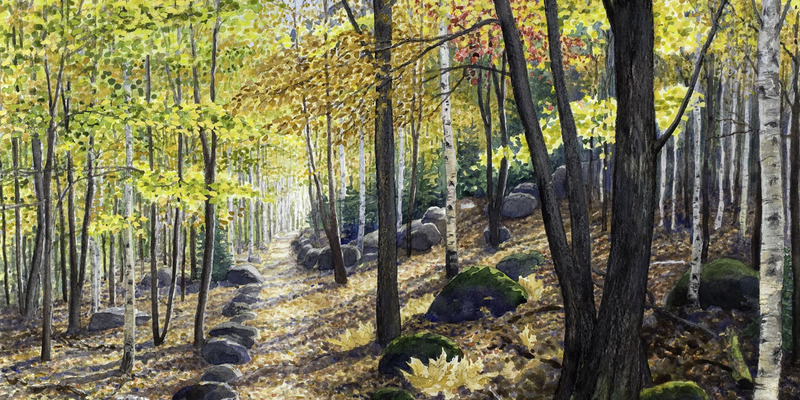 Many of her watercolor landscapes and seascapes are in private collections in the US and abroad. She lives with her family in Bar Harbor, Maine. Copyright © 2019 IN THE LYME LIGHT II. All Rights Reserved.